Via The Hollywood Reporter, WB Animation has unveiled its cast for the upcoming feature Batman vs. Robin, which despite sharing a title with a Grant Morrison arc, is actually based on the Scott Snyder and Greg Capullo "Court of Owls" storyline that opened up their run in the New 52 era. The film will act as a sequel to the preceding Batman and Son, with Jason O'Mara, Sean Maher and David McCallum reprising their roles as Batman, Robin and Alfred respectively. 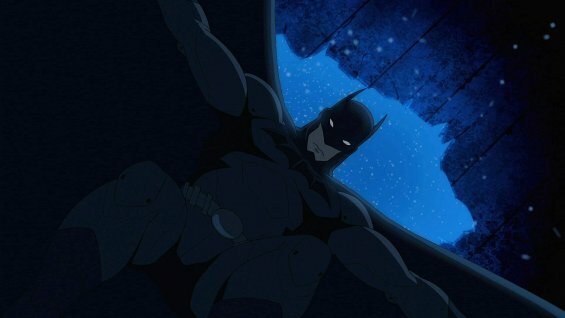 Batman vs. Robin will arrive in stores this Spring, its the next entry in WB's shared universe of animated films that include the previously released Justice League: War, Batman and Son, and the upcoming Justice League: Throne of Atlantis. It'll be directed by Jay Oliva, who took the helm for Batman: Assault on Arkham and the animated adaptation of The Dark Knight Returns, among others projects. I haven't enjoyed any of the offerings from this animated line in some time, probably not since Justice League: The Flashpoint Paradox, but I continue to hold out hope that the next entry will be the point where they bounce back. Snyder and Capullo's enjoyable first arc together is as good a starting point as any.